A little girl at age 6, has her tummy poked by a seamstress who said: "That's what you get for being greedy." Amanda talks about a demented life long pursuit of weight loss, how she thought dieting was her "duty" as a woman and how she’s growing to love the ultimate truth teller that is, her body. Amanda talks about her beginnings as a make up artist, why she is a ‘Pilgrim Soul’ and how her background in creativity, hospitality and psychotherapy, form and inform the pillars of her practice as a facilitator of the creative process. Written by Kate Winter for Sligo Now Magazine. Kate came to visit Amanda in her creative studio Pilgrim Soul as she talked about how she came to find herself in Sligo, facilitating creative recovery and intentional practice, for herself as much as others. Amanda believes in creative recovery and the power of journalling, to heal and transcend old stories. 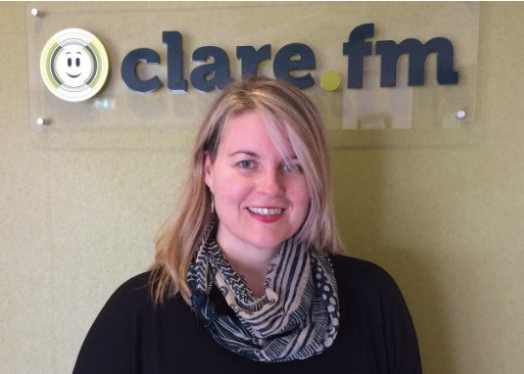 Amanda Grace, a visual journalling artist and creative recovery facilitator joined Pat Flynn to talk about her practice and workshops she runs for those who would like to rediscover and recover the creative parts of their personality. The Unruffled Podcast is a weekly show hosted by Sondra Primeaux and Tammi Salas that explores all topics relating to creativity in recovery. Today, Tammi and Sondra are excited to share a conversation with their friend, Amanda Grace. Amanda is an Irish artist and teacher, a ‘Pilgrim Soul’ who bares her soul through her unique style of RAW visual art journaling. They talk about what it’s like to uncover the layers to heal the original wound and how that uncovering led Amanda to question her relationship with alcohol, how she’s attending the other layers and how she translates that through her art. This conversation is deep and revealing and speaks to the dichotomous humanity in all of us. The Informed Creative Podcast, hosted by Irish Interior Architect Stephanie O’Sullivan, features conversations with a cocktail of creative interesting and inspiring people, from all walks of life, doing amazing things. This is episode number 1 and On todays Podcast I am in conversation with Amanda Grace. Amanda is an artist, that helps woman recover and develop their creativity through intentional journaling and intentional practice. We talk about her life long search to ‘just be yourself’, what led to her unique ‘job’ as a 'Creative Explorer' and 'Pilgrim Soul'. We talk fear, being seen and heard & how we are only scratching the surface of recovery, as a nation. Amanda will be in touch, soon. *This is a direct correspondence by email form and not a marketing opt in.